Oaknoll Villas is a 55+ community located in Thousand Oaks, California. This well-established neighborhood consists of 419 condo units designed for the active adult homebuyer. A clubhouse is the focal point for all social and physical activities, providing homeowners with plenty of reasons to stay active. 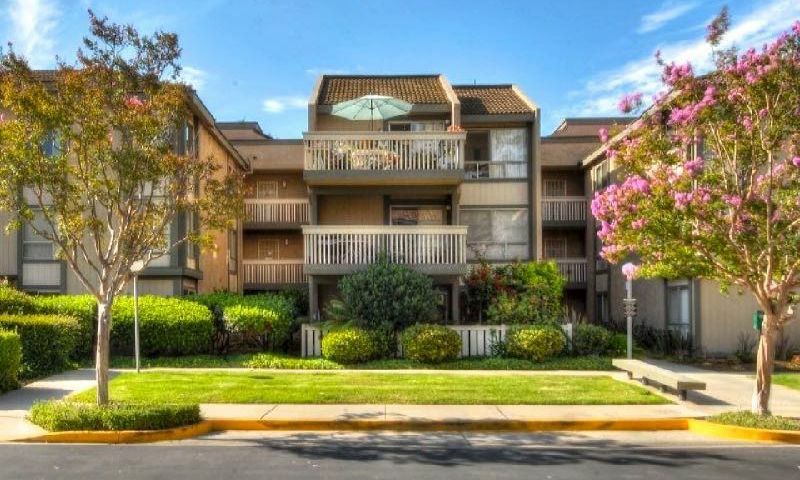 This active adult community is located in the highly desirable city of Thousand Oaks. The community is within walking distance to The Oaks shopping mall, Los Robles Golf Course, and a public park, giving residents ample opportunity to enjoy all that the region has to offer. Oaknoll Villas provides homeowners with a well-equipped clubhouse. An exercise room and an aerobics room provides plenty of ways to stay fit and healthy. Residents can gather in the meeting room, enjoy a game with neighbors in the card room, relax with a good book in the library, or play a round at the billiards table. The terrific amenities continue outdoors with a sparkling outdoor pool, spa, and patio. Neighbors can enjoy an evening walk with the series of walking and biking trails through the community's greenbelts or participate in some friendly competition with two shuffleboard courts. A BBQ area is a great option for enjoying a meal with new friends. This 55+ community hosts 419 condo units. These well-established residences offer homebuyers 514 to 1,147 square feet with one or two bedrooms, one or two bathrooms, and an assigned carport nearby. Some homes have been updated with desirable features like stainless steel appliances, private balconies, and laminate wood flooring. Residents love living in a tight-knit community where neighbors become fast friends. With 419 units, Oaknoll Villas is large enough to represent a wide range of interests yet small enough so that residents don't get lost in the crowd. Living in this community also means enjoying the physically and socially active lifestyle that defines the community and its residents. Thanks to the homeowners' association fee that covers trash removal, exterior and common area maintenance, homeowners will have more time to enjoy themselves. Oaknoll Villas is located in Thousand Oaks, California. It is located just a mile from the Ventura Freeway. For farther travel Bob Hope Airport is just over 40 miles away while the Los Angeles International Airport is just 45 miles away. Thousand Oaks combines the best in outdoor recreation with modern conveniences. Just behind the community is the Conejo Valley Botanic Garden, while the Arroyo Conejo Open Space and the Wildwood Regional Park is just a short drive away. If you can't find what you're looking for at The Oaks shopping mall, there are plenty more shops just a few miles away off of the Ventura Freeway. Active adults who choose this community will thrive in this terrific 55+ neighborhood in Southern California. There are plenty of activities available in Oaknoll Villas. Here is a sample of some of the clubs, activities and classes offered here. Oaknoll Villas hosts 419 condo units. These well-established residences offer homebuyers 514 to 1,147 square feet with one or two bedrooms, one or two bathrooms, and an assigned carport nearby. Some homes are outfitted with desirable features like stainless steel appliances, private balconies, and laminate wood flooring. Please Note: Floor plans are not available at this time. 55places.com is not affiliated with the developer(s) or homeowners association of Oaknoll Villas. The information you submit is distributed to a 55places.com Partner Agent, who is a licensed real estate agent. The information regarding Oaknoll Villas has not been verified or approved by the developer or homeowners association. Please verify all information prior to purchasing. 55places.com is not responsible for any errors regarding the information displayed on this website.